FIBARO is one of the leading brands in the world of Home Automation and caters to a wide range of smart home solutions like smart lighting, smart security, smart entertainment etc. 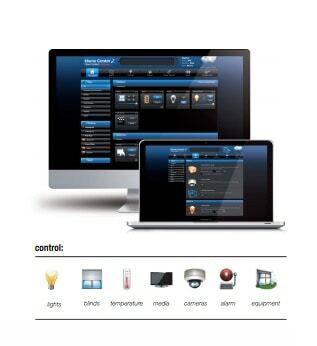 For each of the applications, FIBARO has got a range of dedicated products that co-ordinate and communicate with each other under a common network, and help users create their own customised Home Automation solution that is reliable, intuitive and responsive. Your FIBARO home automation system will keep a track of all the individual devices connected within the network. In case of any accidents or mishaps, the system will notify you through its in-app notifications and helps you take the necessary action in time. The system will also update and keep backup of your settings at regular intervals of time. Additionally, users are also informed in case any battery powered devices need the necessary battery replacement. The modules for the FIBARO Home Automation are aesthetically designed giving users the required flexibility to be placed anywhere within your home without disturbing the existing decor. The wireless functionality of the FIBARO Home Automation system modules offer easy retrofit solutions without the need for any kind of expensive changes or renovations within your home wiring systems. Due to this modular feature, users can even expand their FIBARO eco-system with ease. 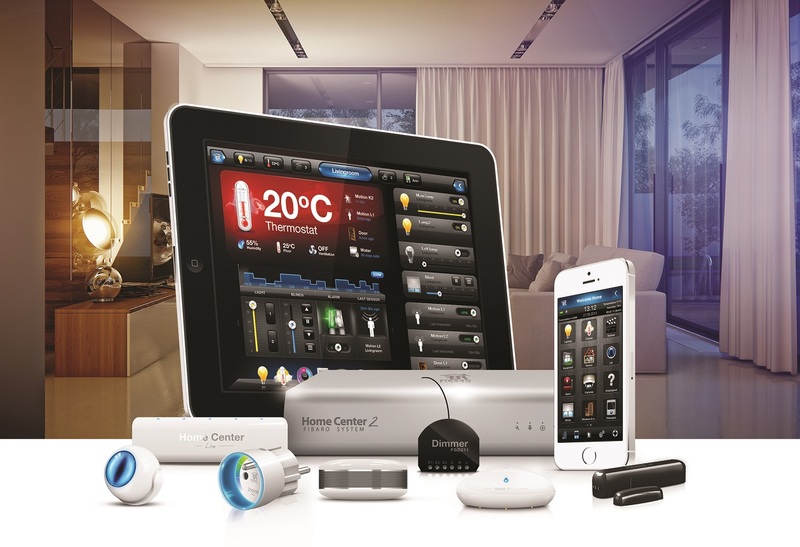 The main control units of the FIBARO system like the Home Center and the Home Center 2 come with extremely user friendly and intuitive interface that lets users control various aspects of their FIBARO Home Automation system with ease. Moreover, with the help of FIBARO apps available for Apple and Android devices, users can remotely control and monitor the FIBARO system from anywhere in the world. The main control unit i.e. the Home Center 2 of the FIBARO system is very user-friendly and gives users the flexibility to users to create customised scenes and solutions with better security, convenience and optimised energy utilization. The Home Center 2 can control up to 230 devices at a time making sure that users can easily expand their FIBARO ecosystem as and when required. Also the Home Center 2 features advanced data backup and recovery system giving user an added peace of mind. The Home Center Lite is a smaller version of the Home Center 2 and lets you similarly control and automate things within your FIBARO ecosystem. Home Center Lite also come with recovery system and store the necessary backups over the cloud. 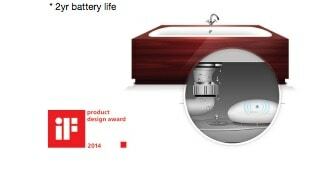 Its modular design will let you add additional features like battery and GSM module. Its also allows for greater integration of multimedia devices within your home. automating venetian blinds, gates, roller blinds, awnings, and other single phase AC powered motors. It helps for the precise positioning of the blinds using the electronic and mechanical limit switches. This module comes with power metering capability thereby allowing all the motorised devices to be controlled as a group. Dimmer 2 is designed to work with any kind of leading or trailing-edge lighting up to 250W. The module also offers enough flexibility to control three-wire or two-wire installations either with or without neutral. The Dimmer 2 can automatically sense and calibrate the lighting circuit for the best settings. The Dimmer 2 modules comes with some protective functions on-board like soft start, power metering and automatic overload protection. It also offers enough flexibility to control lightings in association to other devices. 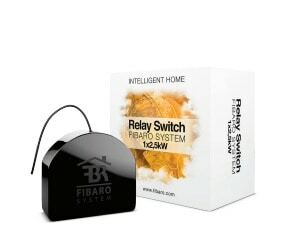 The FIBARO relay switch is basically an on/off switch that can be placed within a standard box or socket or other places that require and electric load of up to 2.5kW. The module can be controlled in both ways like wirelessly or through connected switch. 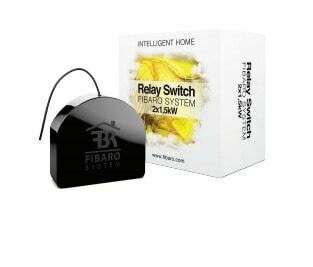 The Relay Switch can work in association with other FIBARO devices and is also compatible with other Z-Wave systems. The functionality of the Double Relay Switch is similar to the Relay switch but this control two individual loads of 1.5kW each. The Double Relay switch can connect other devices either wirelessly or through wired switches. Both the switches can be used to control electric devices like Acs, iron, heater etc. The FIBARO RGBW Controller is a Z-Wave compatible module consisting of four PWM outputs used for controlling LED, RGBW strips, Halogen Lights and fans. The device to be controlled need to be powered with either 12V or 24V DC. Additionally, the controller can support up to four 0-10V Analog sensors such as light sensors, humidity sensor, air quality sensors,wind sensors etc. Each of the four IN and OUT terminals can be configured for analog sensors or LED control. The Universal Sensor is a wireless binary sensor used to enhance the functionality of the existing binary output system in your home. These sensors can communicate wirelessly with the FIBARO system and can also integrate with the existing measurement systems or other wired and wireless alarms. The Universal Sensor supports four DS18B20 temperature sensors or two binary output connections. This is basically a battery powered smart read sensor giving added comfort and safety to your home. It helps to notify users in case the garage doors, windows or main doors are left open. 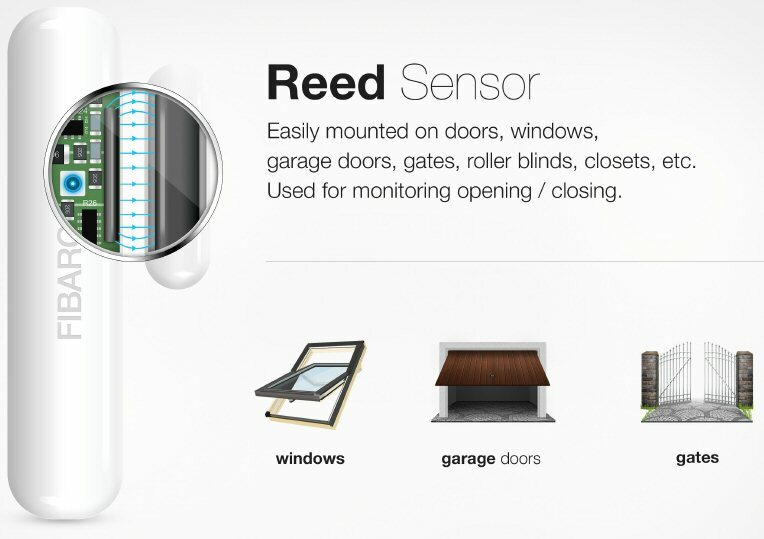 Along with this, the multifunction sensor can be used to automate motorised windows, control lightings and even blinds. This sensor helps to enhance security even when used with other FIBARO alarm system. This is a Z-Wave compatible flood and temperature sensor operating on the battery power of 12V/24V DC. It is uniquely designed such that it could be placed on floor as well as on the walls. When placed on the walls, it comes with a flood sensor probe that is extended via connected wires. It comes with built-in acoustic alarm and LED indicator. Additionally, it has also got a tilt sensor that reports the Home Center in case of any movement or tilt. The LED indicator on the sensor can be used to signal operating mode, flood or the Z-Wave network communication range. The Smoke Sensor is a 12V/24V battery powered device which makes use of both photoelectric and temperature sensors from maximum protection from smouldering fires or flaming. It has in-built two types of alarms – a RGB visual indicator and a 100db built-in siren. The sensor is capable to sense Z-Wave networks along with regular wired monitoring system. One of the unique features of the FIBARO Smoke Sensor is its data recording capability. The FIBARO motion sensor is an multi-functional sensor which comes with light, motion, temperature and accelerometer sensing capabilities. Its modular and wireless functionality helps it to be installed anywhere in the home. 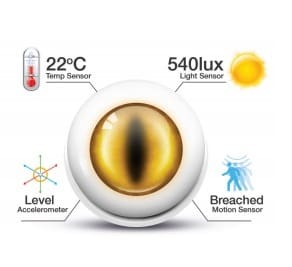 The eye of the sensor alerts user by changing its colors. 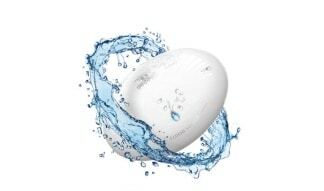 The FIBARO motion sensor comprises of Z-Wave network range tester and remote update feature. It learns the patterns of your behaviour and also adjust lighting based on individual needs. An additional intelligent feature is that it can even turn on the lights before you enter the room. 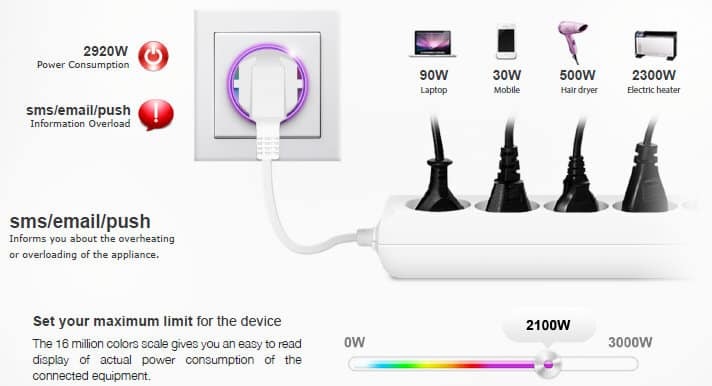 The FIBARO Wall Plug can be placed at the two/three pin electrical sockets within your home to control several appliances like side/table lamps, electric heater, TVs etc just with the help of your smartphone. The plug works with the same electrical rating (110/240V AC) as supported by your country with load current facility of up to 13A and power output of 2.5kW at continuous load. It is a Z-Wave devices and it connects or disconnects the devices from the live supply based on the input commands.